I’ve been here before. Fergus Falls. I remember it fondly, although, only vaguely. For some people, retaining specific details happens naturally, but I am much more inclined to form a general impression about places I’ve been. 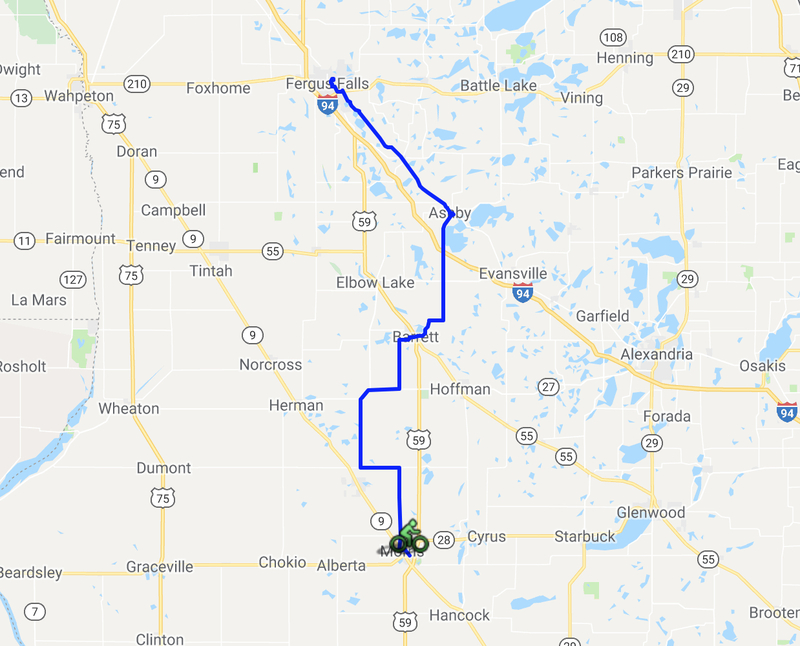 I know I have biked to Fergus Falls before on at least one previous tour, but all I have in mind of the experience is a notion that it was good and I thoroughly enjoyed time spent there. Maybe this year will foster a more specific detail, or two, for the permanent memory bank. It may depend on whether I found ice cream, or not. I love… the years when the bike tour coincides with FIFA’s World Cup soccer tournament, like it does this year (even though the US team is not in it. Ugh!!). There is often a sub-group of like-minded “football” fans among the bikers who then converge on whatever establishments can be found which offer television coverage so we can hoot and holler together over the beautiful game. I miss… being able to sit down on my easy chair upstairs on our loft in front of our big screen tv to watch sports or movies with my favorite snacks and beverage at a time of my choosing and not when I’m in the middle of some other distracting fabulous adventure in its own right at the very same time. A little weak, maybe, but I had to miss something!